Tying in with the upcoming celebrations for St. Patrick’s Day and The Gathering, Below the Surface presents its fifth talk in the maritime series on board the Jeanie Johnston tall ship. 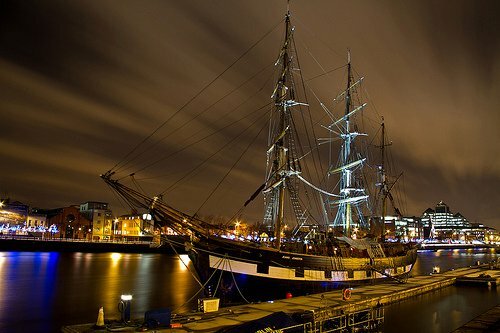 This replica famine ship is currently docked on the Dublin quays and the creaking sounds of its wooden hull will undoubtedly create a very atmospheric location for the lecture series. Presented by Dr. James Lyttleton, Department of Archaeology, UCC, on Wednesday March 6th 2013, the talk delves into the colonial worlds of 17th century Ireland, North America and Canada. It reveals the stories of the original Irish diaspora and the adventurers, merchants and soldiers involved in establishing these new settlements. Dr. Lyttleton discusses how Ireland was used as a ‘colonial laboratory’ in which the ideologies and techniques of English colonization were tried out before their subsequent application to the new world. 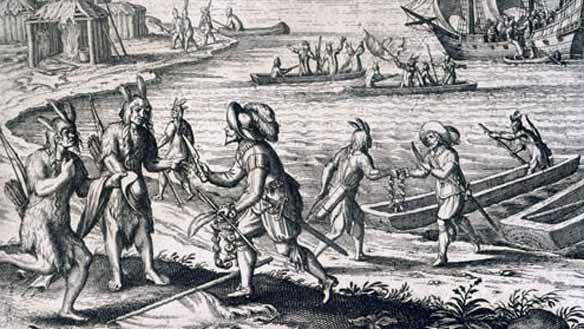 This talk will illustrate the activities of these colonial adventurers with a particular focus on Sir Walter Raleigh and Lord Baltimore, men whose ambitions spanned the breadth of an ocean. Doors open 7.15 pm. Tickets: €15.